When it comes to the mermaid makeup trend, we’re used to seeing pastel shimmers. 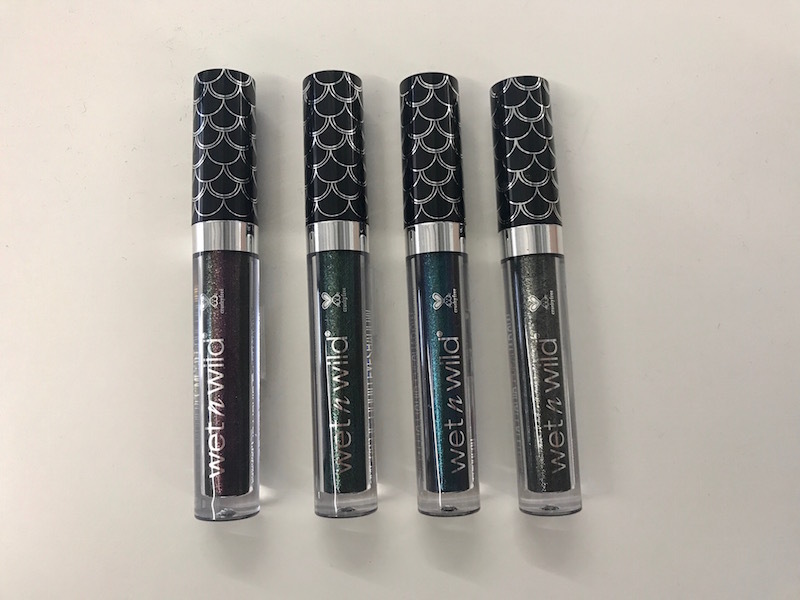 If you love the mermaid vibe, but want to shake things up, you’ll love Wet n Wild’s latest collection. 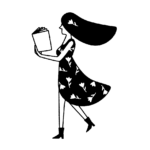 It takes what we love about the whole mermaid thang, but puts a creative new spin on it. 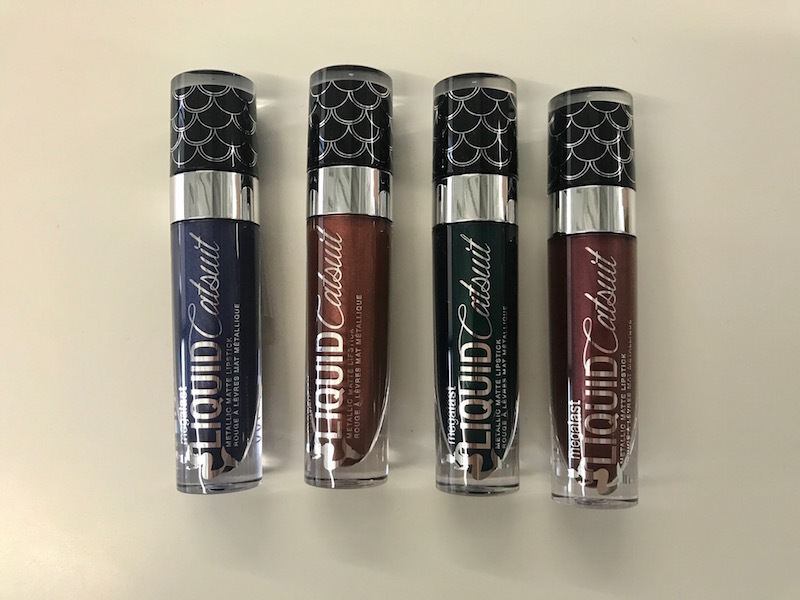 Midnight Mermaid, which will be unveiled at next weekend’s BeautyCon L.A., features metallic jewel tones that are inspired by the sea at midnight. Sort of like ~mermaids after dark~. We love it. 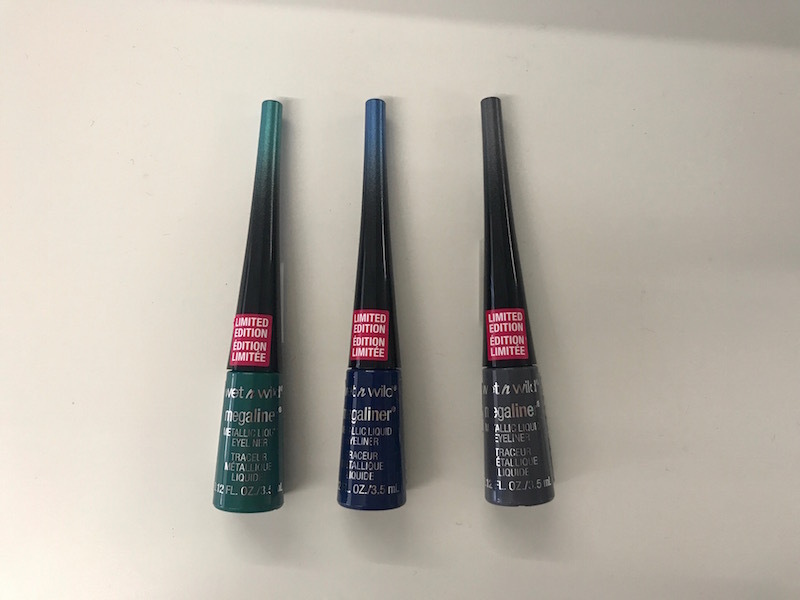 Already a cruelty-free brand, Wet n Wild is aiming to make their products fully vegan, and this 12-piece collection is almost that, at 92% vegan. 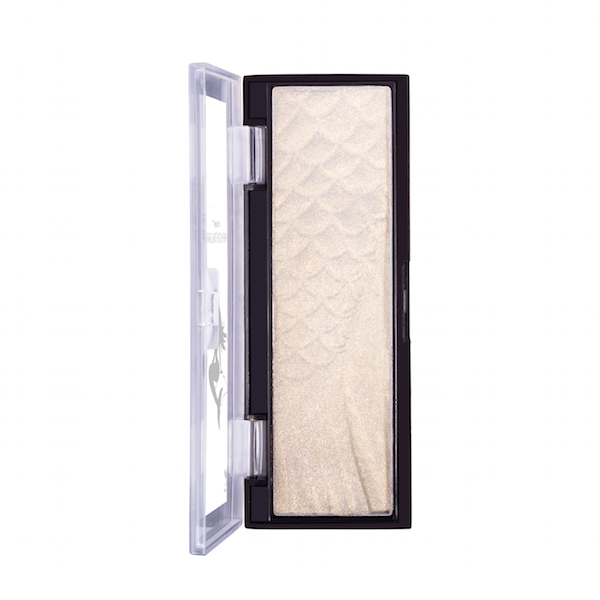 Get ready to stock up on shimmery liquid eyeshadows, liquid eyeliner, matte lipstick, and a highlighter — everything you need for your sea siren glam. These come in the gorgeous Aquatic Prism, Moonlight Majesty, Mysterious Nights, and Lara’s Necklace. 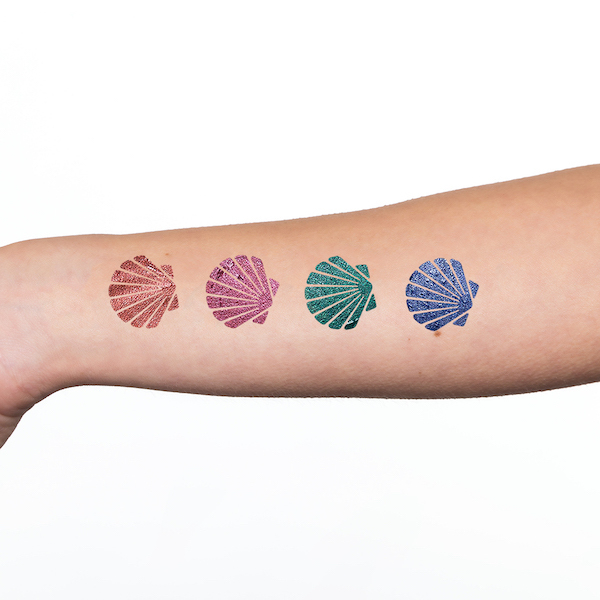 This will be available in four stunningly shiny shades: Harbor A Crush, Coral Crown, Siren’s Jewel, and Sea Seduction. 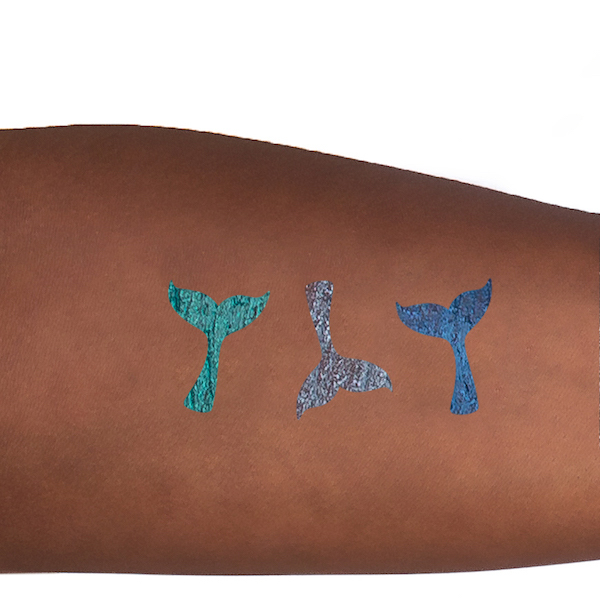 For those of you who are fans of their classic Mega Liner, there will be three options for your mermaid cat-eye — Trident’s Shimmer, Sea Dreams, and Sea Symmetry. This stunning bar, which features a super cool scaled texture, will be available in one knockout shade called Midnight Moon. The Midnight Mermaid Collection Box, $29.99 at Beautycon LA. Beautycon attendees, you can pick this beauty up there next weekend and at a discounted price. 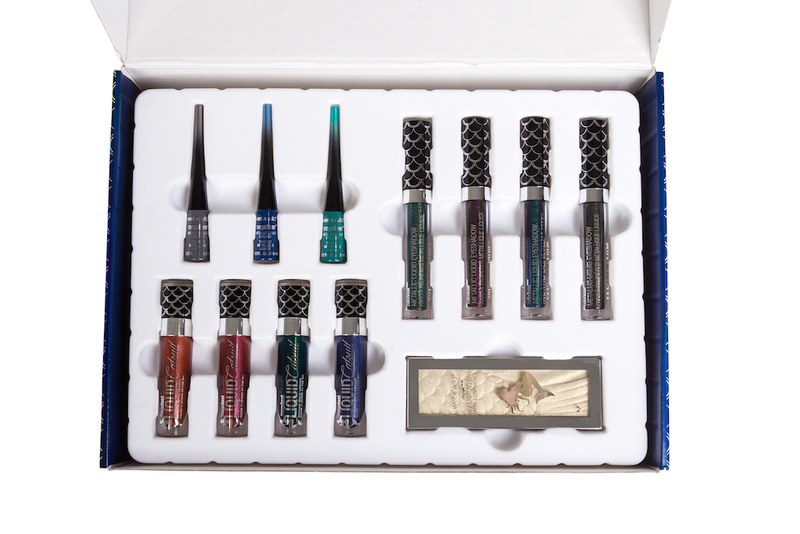 The box set will be $34.99 on www.wetnwildbeauty.com beginning August 14th. We love how Wet n Wild is giving us the option to get this highly affordable collection in a sweet collector’s box. Following Beautycon, you’ll be able to snag the individual pieces at ulta.com beginning August 13th, and wetnwildbeauty.com on August 14th. 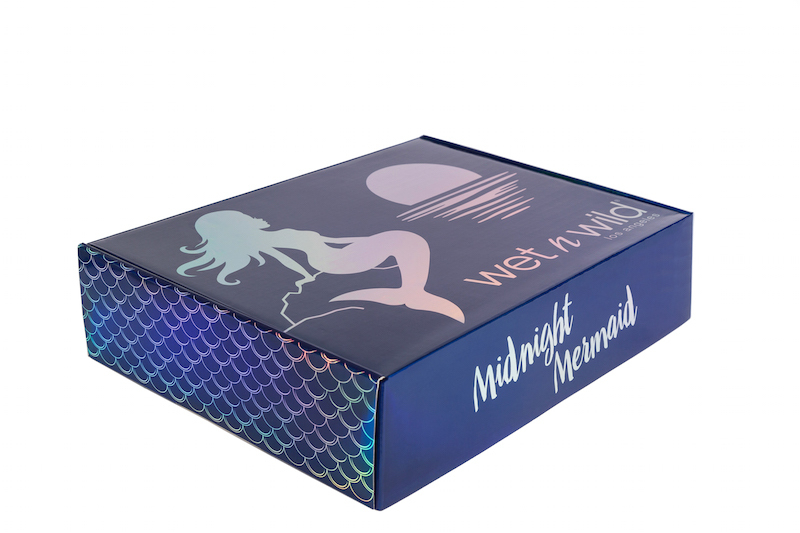 The box will be available at Wet n Wild’s site on August 14th, while supplies last. Get on it, mermaids!